My longtme favorite and everyday smoke. I've been smoking this brand and size cigar for well over 10 years. It's my everyday, go-to, cigar. Great medium to full flavor that is consistently there in every box. Insider info: the Hermoso is the only one in the line that has some LGC Seri R tobacco blended in! 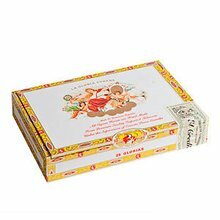 Only con I've experienced is the occasional box that the cigars are wrapped to tightly and hard to draw or to loose and burn to fast. That's not the norm though. More often than not, they are rolled just right and make a great smoke. With 30 to a box and all the good things about them, what's not to like! Like the hand rolled shape compared to the totpedo or box shape. Not bad of a smoke. Solid construction and a great taste are the signature for this smoke. 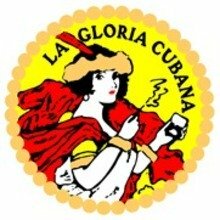 La Gloria Cubano again delivers the quality and exceptional construction that's synonymous with this brand. Unlike Suicide Squad, this cigar won't be a disappointment. It delivers great quality. I just wish Hollywood could keep up. I have smoked many of these. Although they are sometimes a bit uneven in burn at the start, they almost always even up and can be enjoyed down to a couple of inches. The taste is consistently good, medium-mild. And the price is certainly right! A definite beauty. Great flavor and an awesome experience. Imy my opinion, this is the perfect size for this smoke. This is just a simple solid cigar, nothing more nothing less. Average both in flavors aND construction. Great cigar if you don't have a lot of time to spare. Fairly easy on the wallet too. Really enjoyed this. Relaxed one afternoon with it and it was stout. I have smoked a lot of powerhouses but this one kinda put me out. It was a great smoke and filled the room with a sweet aroma. Had a very spicy retrohale too. Very very good smoke. My favorite cigar. Awesome flavors burns well throughout. Starts nice and finishes better. Well constructed with a nice smooth draw. Highly recommended. This is a medium bodied cigar. Flavor notes: pepper/spiciness, espresso. Great draw. This is not my go to stick with LGC but a decent stick. Very silky smooth and pairs well with coffee.